Hello everyone, it was beautiful weather here until today, it is pouring rain today and miserable outside. It is supposed to improve for the weekend. Yesterday, I made a trip to my local garden center and purchased my mums (I went with rust and burgundy). I have been waiting and waiting for them to have a good selection and since we’re limited with the areas we can place these tasty treats LOL, I put them in my fauxed flower pots and the basket that John brought home; all close to the front door area. You may remember I repurposed this metal basket he received that was filled with goodies from a client. 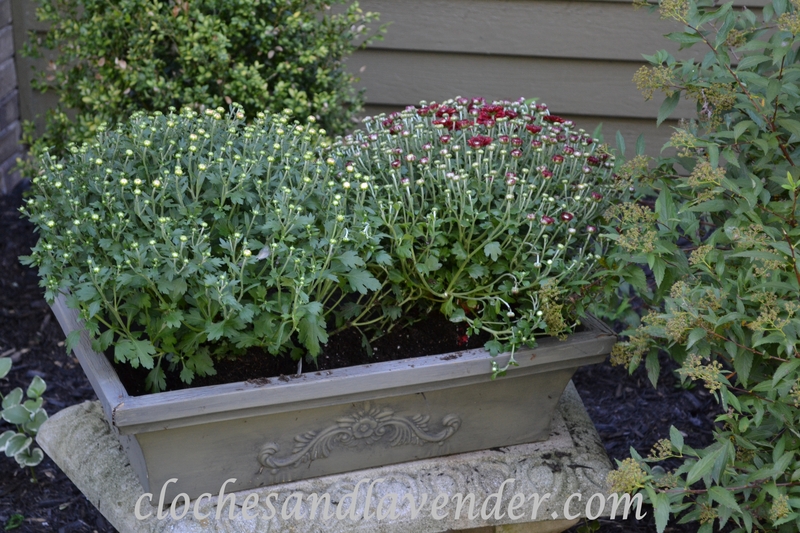 I love it filled for summer with a giant coleus so I just had to use it for Fall mums to add more color. The pumpkins on the porch are from Home Goods, we can’t have real ones outside or the animals will eat them. These are covered so they will be protected from inclement weather. I bought some hay from Michael’s that I got 50% off. I also put a wreath on the front door to welcome people into the house and to let them know we’re set for fall. 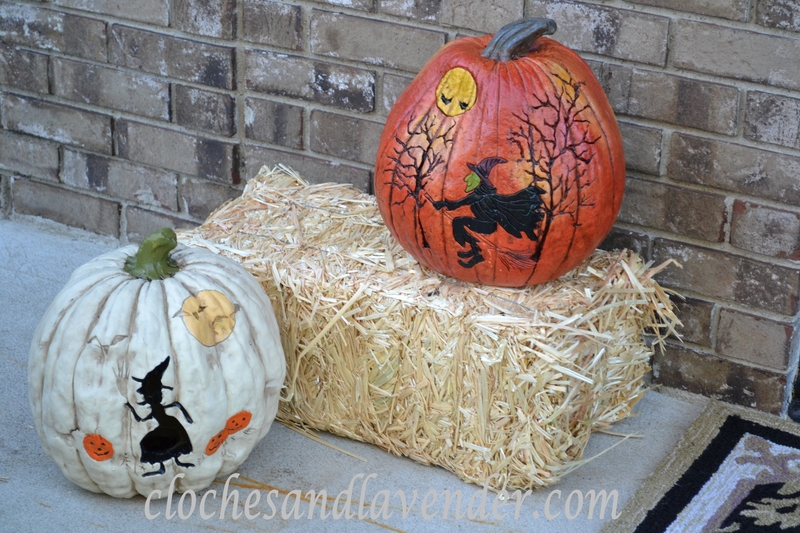 Love your pumpkins and your wreath is lovely! You look ready for Fall and Halloween! Thank you so much. I am ready. Your porch looks so welcoming… love the wreath. Your porch looks wonderful. I love the wreath! Thanks very much. You are always so kind. Your entry looks all ready for Fall. Love your use of beautiful mums. Your entry look so pretty! Everything looks so warm and welcoming. Your Mums lookd wonderful! and I love your wreath! I forgot they have been going in my spam folder for some reason. I always read them and respond. I never doubt your support. You are always here. Thank you so much for being so kind! 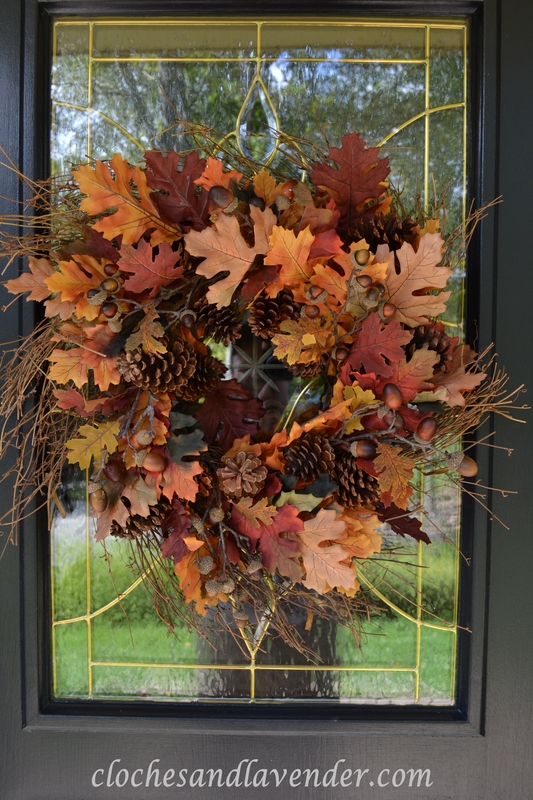 Your wreath and entry look great for the fall season. It all looks great. very welcoming. 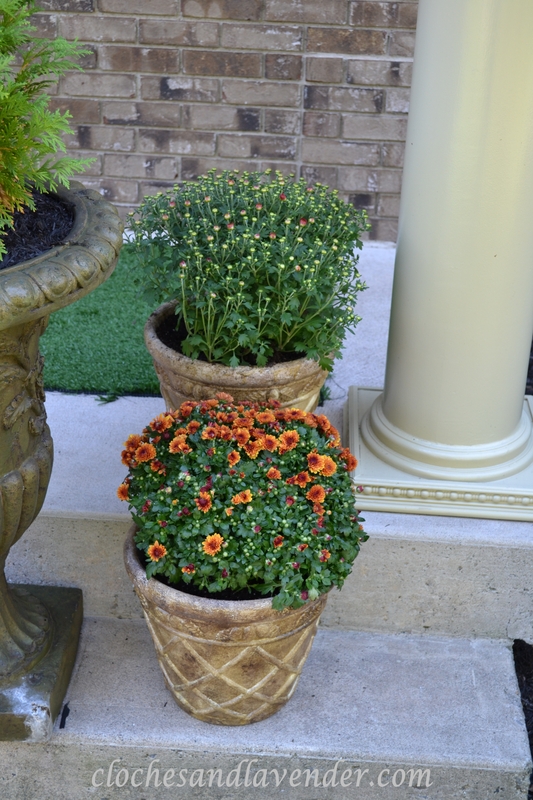 I finally purchased a couple of mums, but it was pouring rain here today, so haven’t pulled the porch together yet. It was pouring rain in NJ too. oh how I love mums! I think Karrie and I are going to head over and pick some up on Sunday afternoon…can’t wait!! 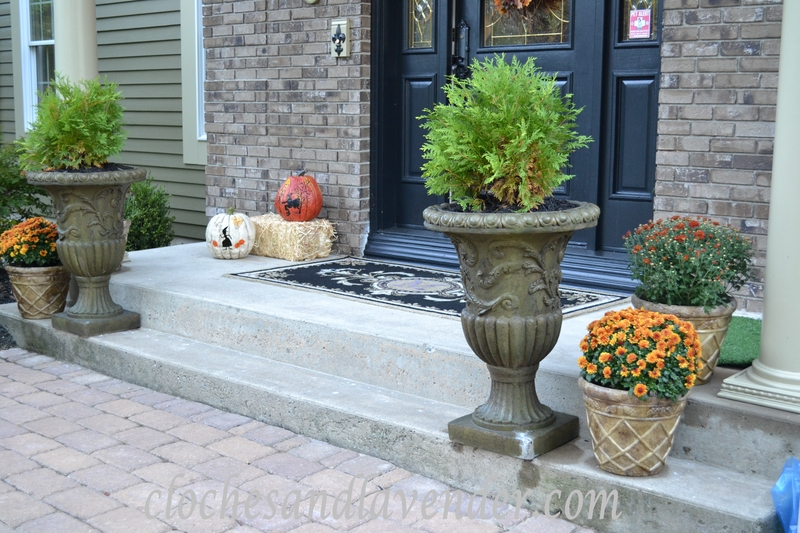 The porch looks great ~ as well as the rest of the house….now what will you fall-a-fy?? I still have some stuff to do….LOL Enjoy getting your mums. What a beautiful entry! It’s been so warm I haven’t gotten into the fall mood yet. I have hung my wreath so that’s a start! We had a cool snap for a while so it made me got wild and decorate the whole house. Check out the other posts, I hope you will follow Cloches and Lavender. 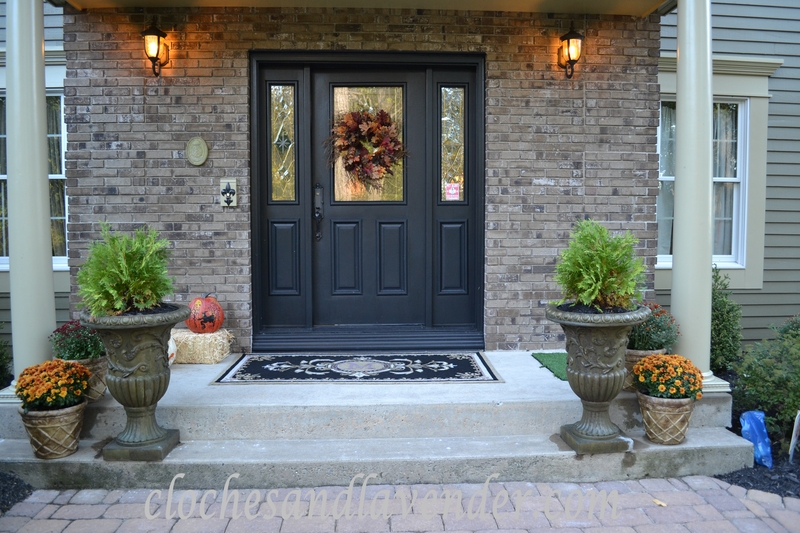 Beautiful porch Cynthia….love the gorgeous wreath! Looks great!! I am excited to plant our mums and get the pumpkins set up outside, hopefully in the next week or two! (Texas is just starting to cool down enough so that I feel good about getting them planted). Good for you. NJ is starting to really cool down. We can still get a hot spell but the sun is setting much earlier.